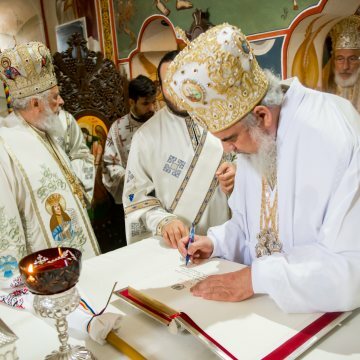 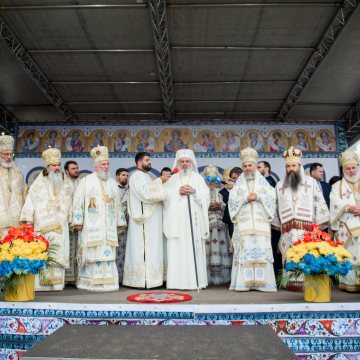 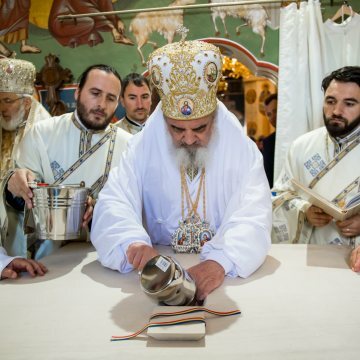 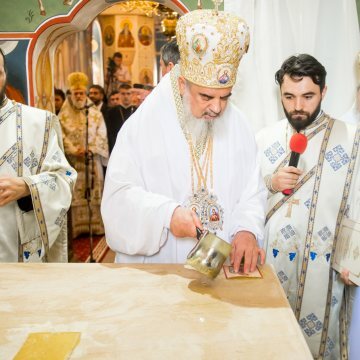 His Beatitude Patriarch Daniel on Tuesday consecrated the princely church, founded by the Wallachian Ruler Prince Matei Basarab (1632-1654). 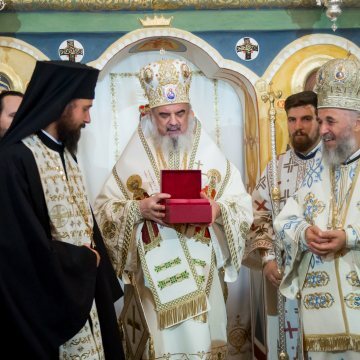 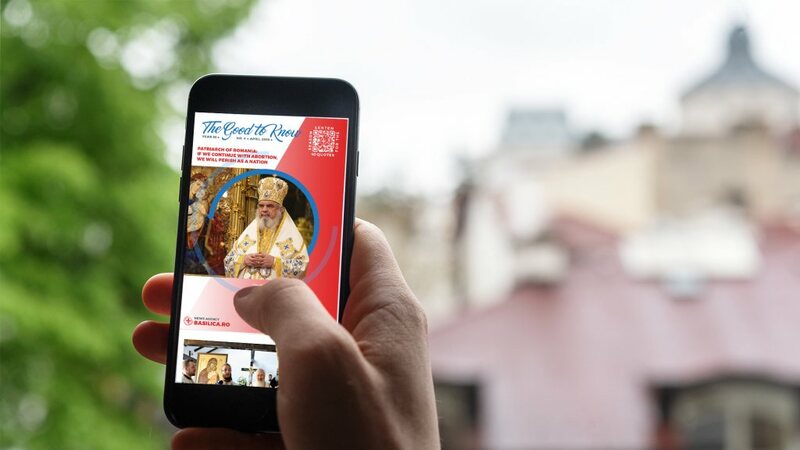 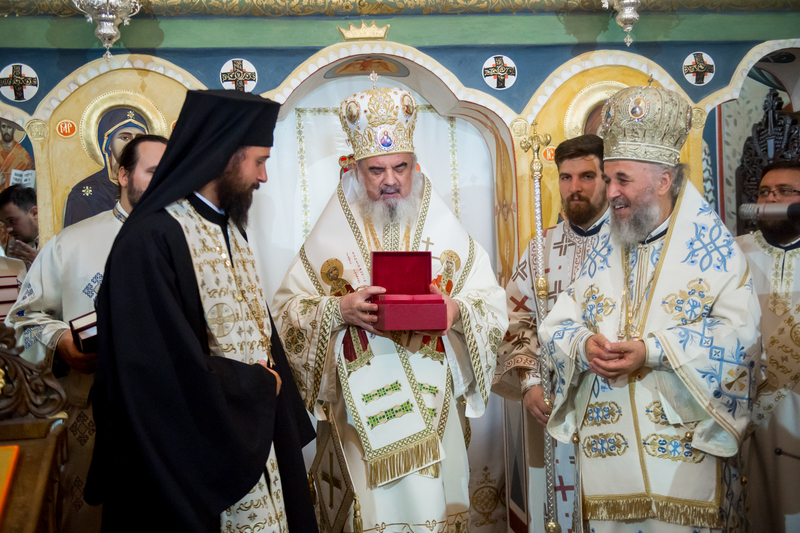 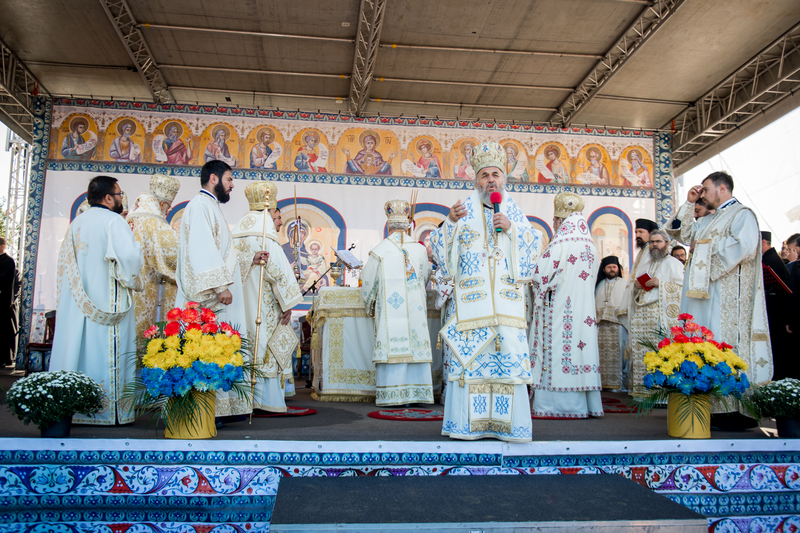 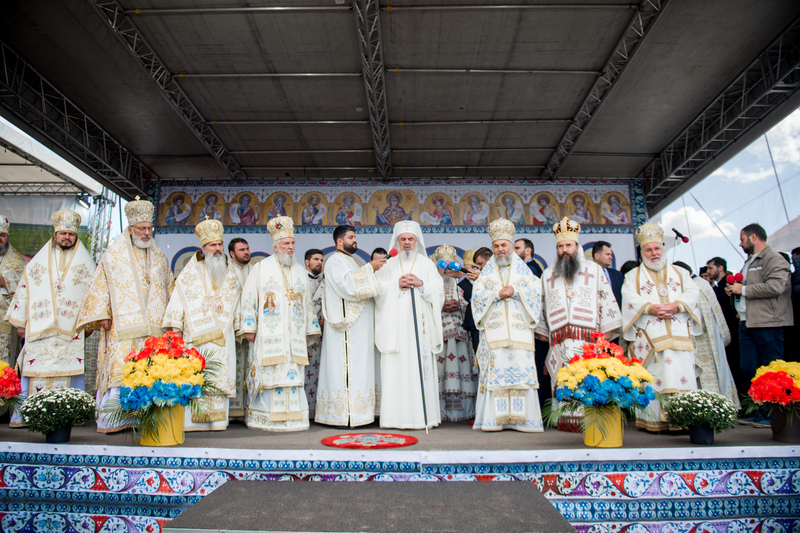 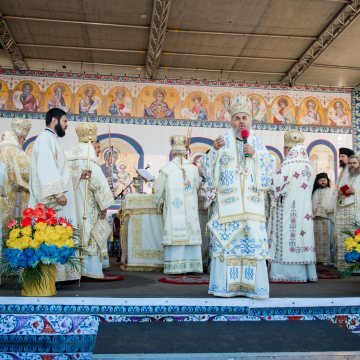 Concelebrants included Metropolitan Petru of Bessarabia, Hon Met. 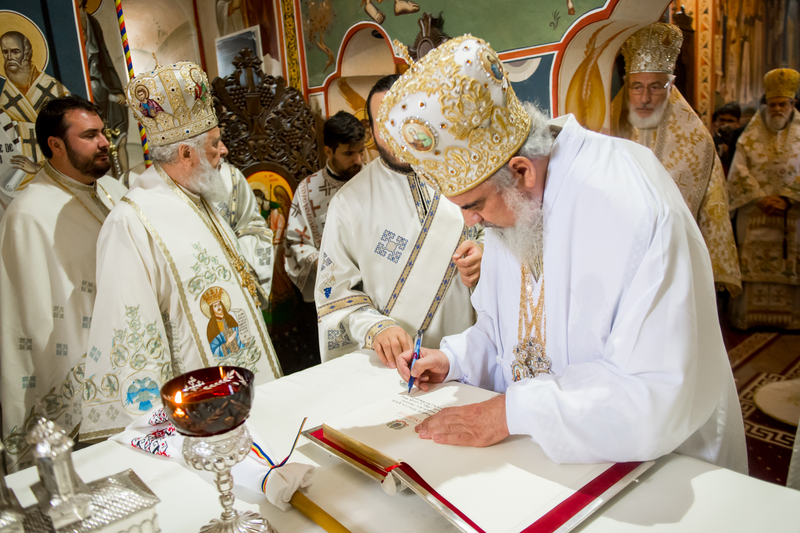 Nifon, Archbishop of Targoviste, Abp. 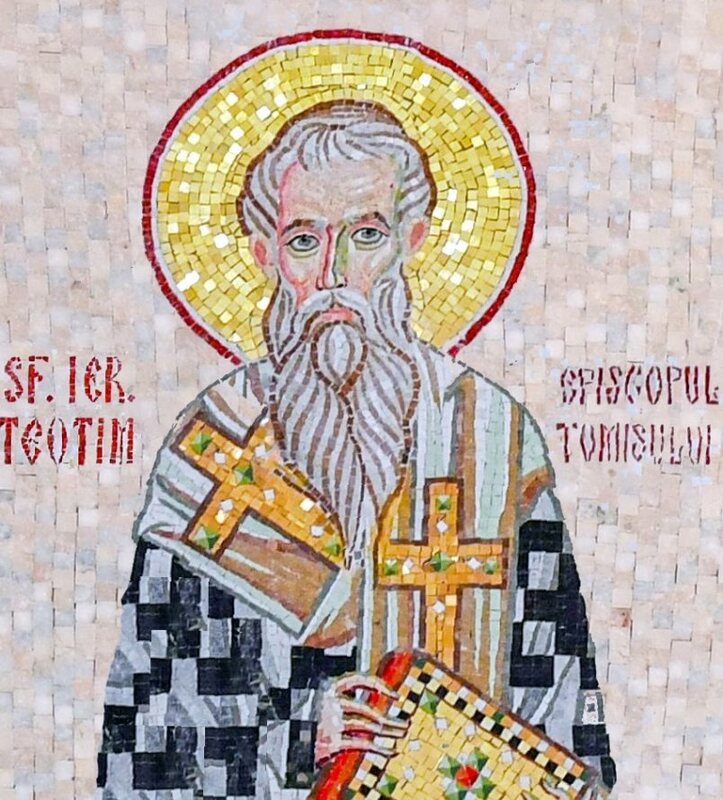 Teodosie of Tomis, Abp. 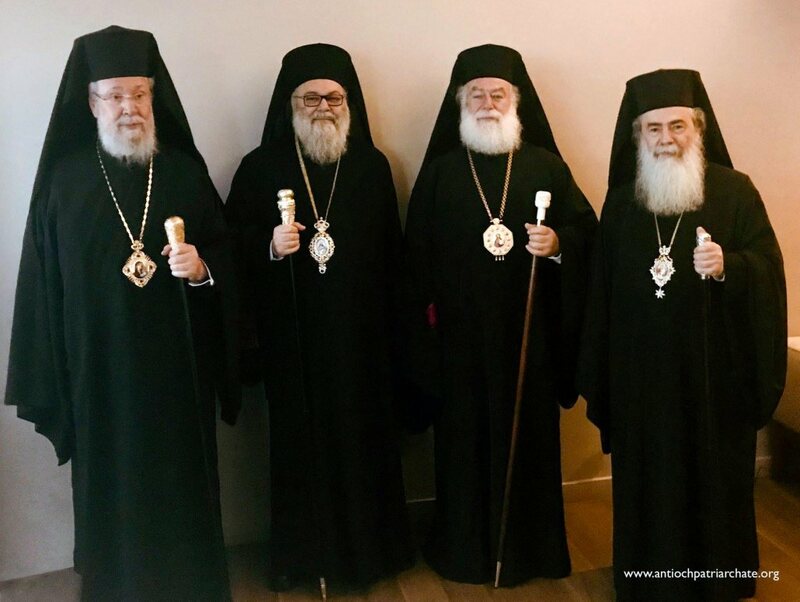 Calinic of Arges and Muscel, Abp. 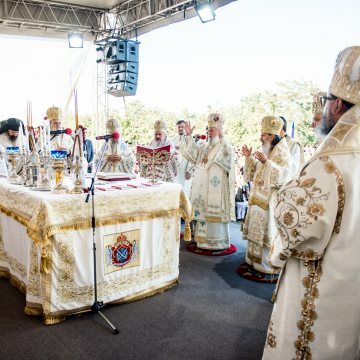 Casian of Lower Danube, Bp. 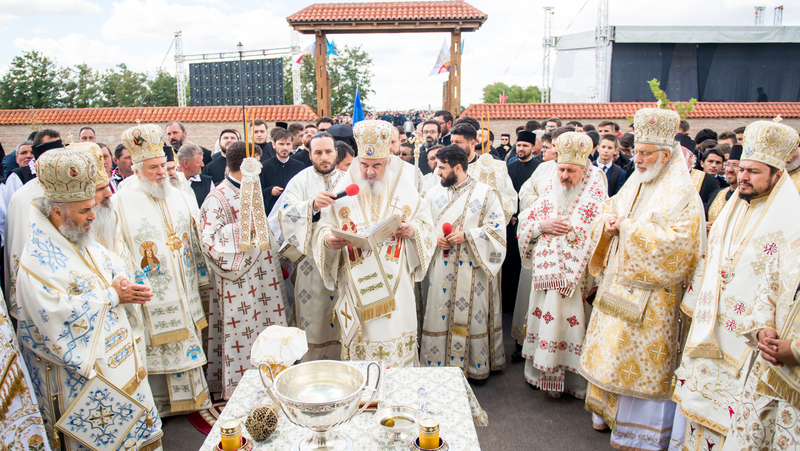 Veniamin of Southern Bessarabia, Bp. 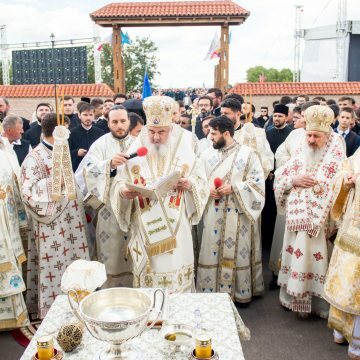 Vincentiu of Slobozia and Calarasi, Bp. 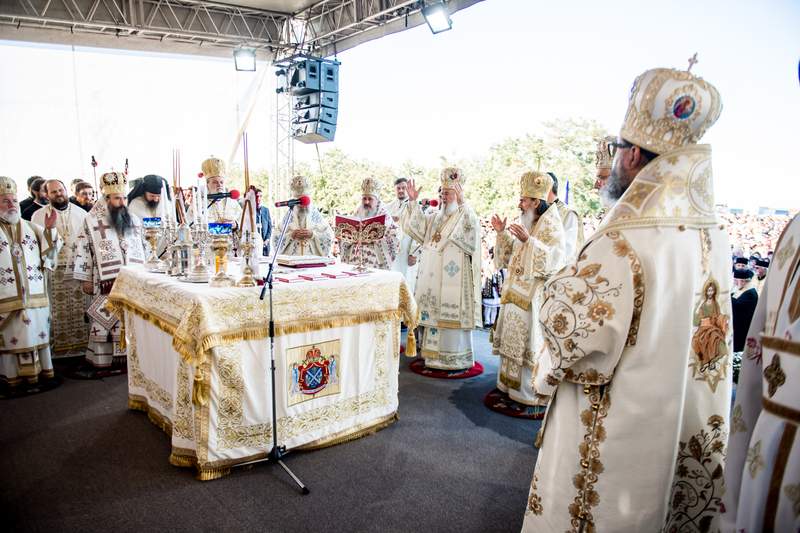 Galaction of Alexandria and Teleorman, Bp. 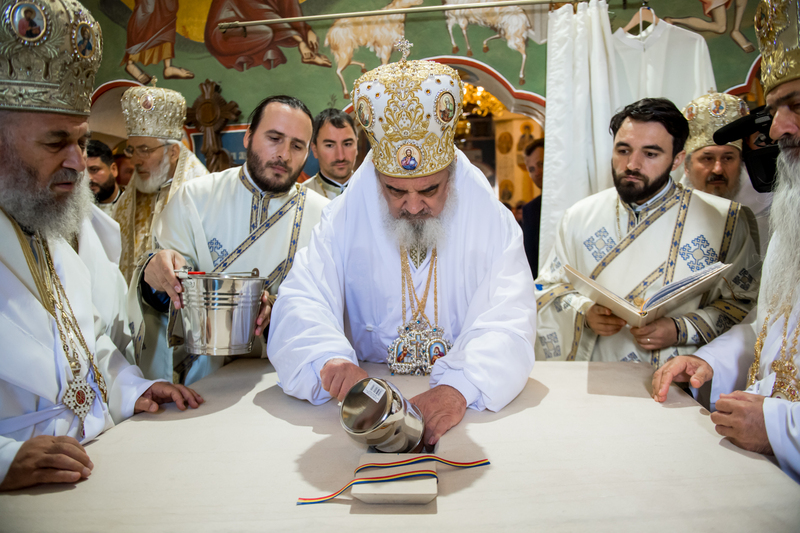 Ambrozie of Giurgiu, and Bp. 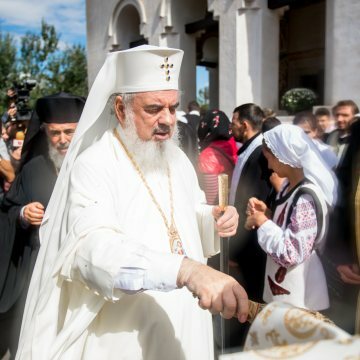 Visarion of Tulcea. 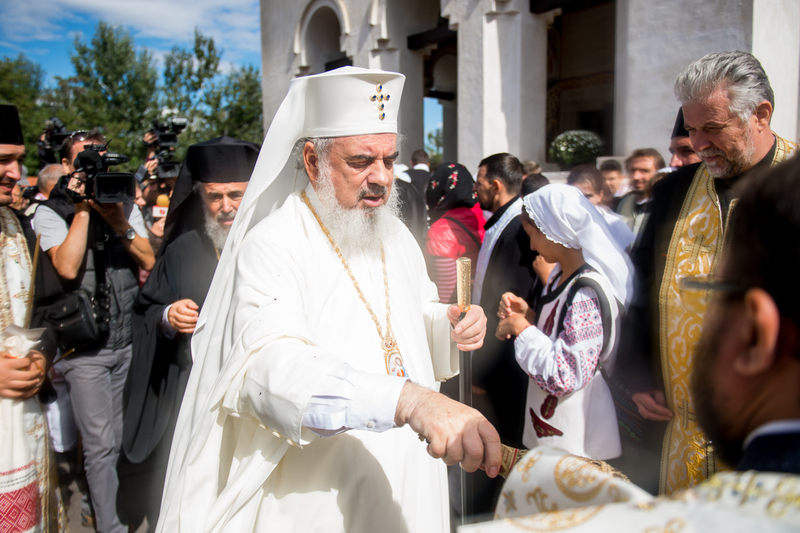 The Patriarch of Romania presented the history of Maxineni Monastery, also recalling the fact that it was bombed in 1917. 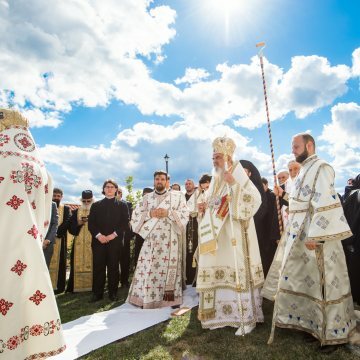 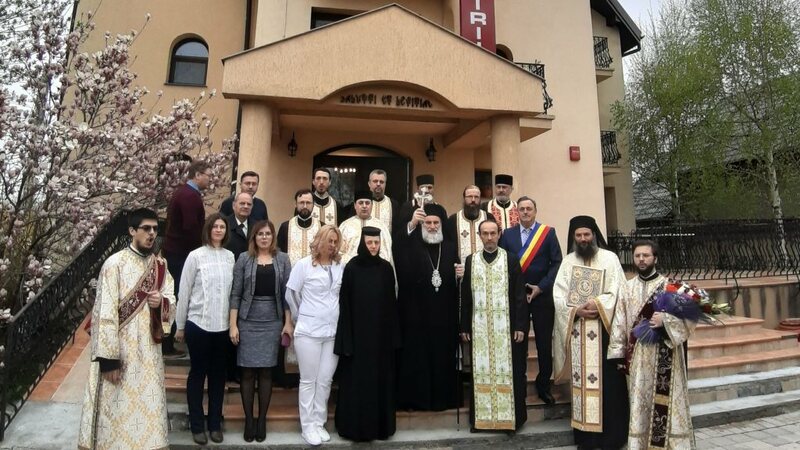 ‘We see the mystery of the cross and the resurrection symbolised by a monastery that was bombed, destroyed and deserted, and which has achieved its first beauty not only because it was rebuilt, but also because it was offered a very beautiful painting,’ the Patriarch of Romania said. 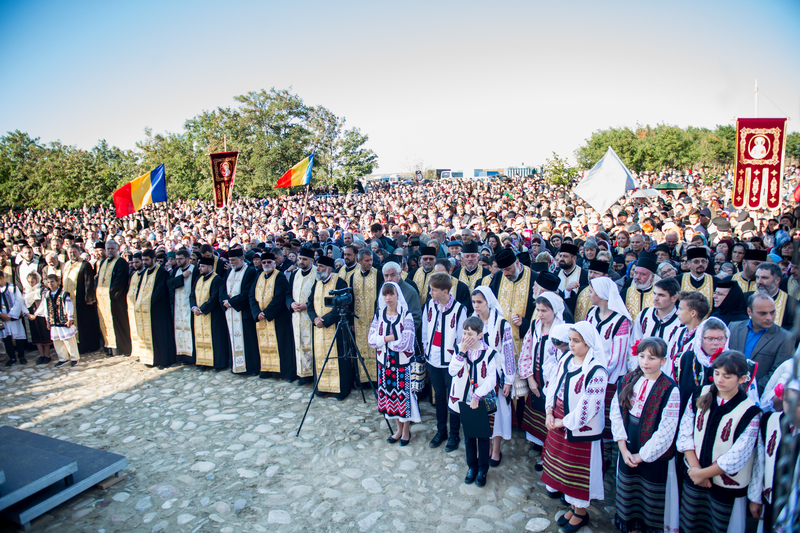 At the end, the Patriarch of Romania honoured the supporters of the restoration works with awards. 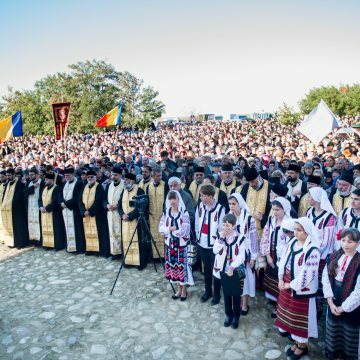 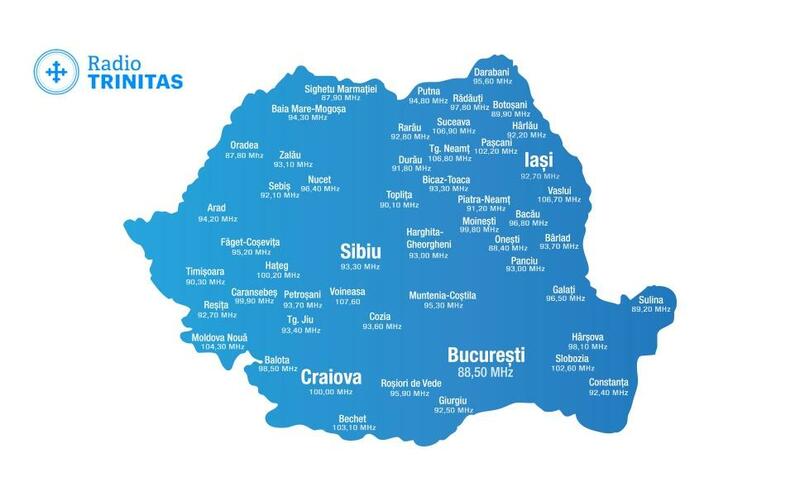 Over ten thousand believers form Braila, Galati, Bucharest, Buzau and other parts of Romania attended the event. 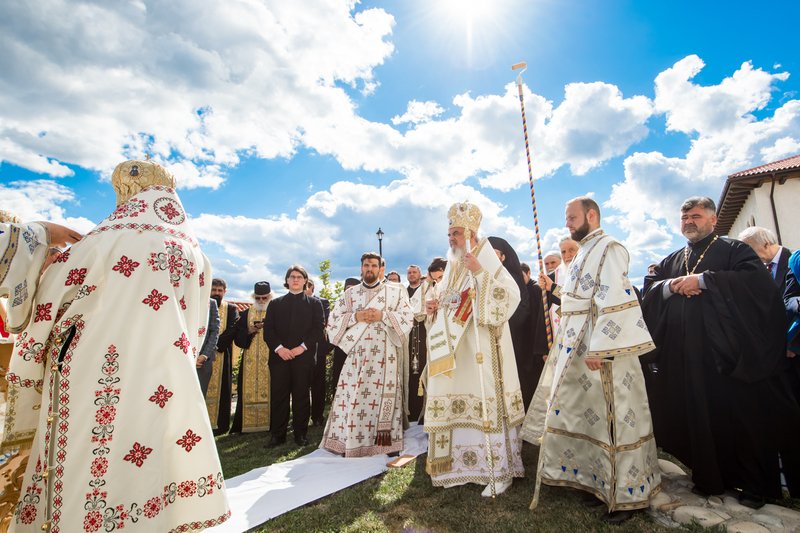 Check out exclusive pictures in our Photo Gallery.